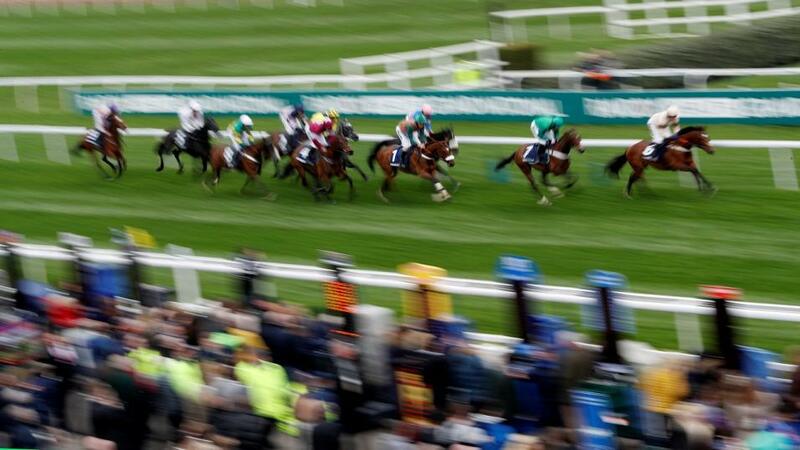 Will TC land a winning bet at Aintree (above) on Saturday? "It is customary for Irish horses to be given 1lb and more extra when racing over here, but the UK handicapper looks to have gone the other way with Call It Magic." We will get on to the big one - the Betfair Tingle Creek - in a bit but let's start with one of the bets of the day and that is Call It Magic at [28.0] or bigger in Aintree's Becher Chase at 13:30. This contest is packed with past winners of the race, course specialists and horses with more obvious claims than the selection. Chief among them is last year's scorer Blaklion, with the ground now heavy at the Merseyside track. But this game is all about prices, and Call It Magic has a far better chance than quotes of 25/1+ suggest (or you can take 20/1, five places, each way, with the Betfair Sportsbook). It is customary for Irish horses to be given 1lb and more extra when racing over here - indeed that is what has been added to Crosshue Boy's mark, and Don Poli has been given 2lb for his troubles - but the UK handicapper looks to have gone the other way with Call It Magic. I don't know if I am missing something but it appears that the selection has been dropped 2lb, and I've never seen this before. Maybe the Irish assessor simply hasn't published a revised rating for him after he was beaten a country mile last time out in the Kerry National (or I am looking in the wrong place?). Whatever - and at least he hasn't been raised from his Irish mark, unlike others, which is a bonus in itself - that poor run is obviously a concern, and he also didn't shine at Galway on his previous start in August, but he has a big chance on his Irish National seventh off a 4lb higher mark this in April. He tanked through that 3m5f race on the outside for most of the contest, his cause not helped whatsoever by jumping left at his fences. That suggests this left-handed track could well suit, and he shaped far better than his 14-length beaten distance suggested at Fairyhouse. I have watched that race back three times, and he really did power through the race before his stamina appeared to run out. This 3f shorter trip should help him, as will the heavy ground. The horse was highly-regarded in his early days but he has apparently had problems in recent years, and he had a back operation before winning back-to-back races - too many backs there but I'll let it go - in blinkers at Ballinrobe and Galway last autumn. He made all on both occasions and, if Mark Enright can get him prominent and into a rhythm, then he has chances off his mark. Racing near or at the head of affairs seems to be the key to him, so we may know our fate early (and there is plenty of pace in here - I counted five or six others). Ross O'Sullivan knows what he is doing with staying chasers, as he has shown with Baie Des Iles (he won a Grade 2 at Auteuil in June, for the same owner as Call It Magic) - and his small operation had a recent winner at Thurles under today's jockey Mark Enright. I like Crosshue Boy most of the opposition as he improved markedly in a very short space of time, and he still looks fairly weighted on an 8lb higher mark than beating Ladbrokes Trophy third Dingo Dollar a length at Ayr in April. That came on good ground but he is even more effective in softer conditions and he shaped well in midfield over hurdles at Galway in October. He, initially at least, was a far bigger price than I was expecting - he was 20/1 in a place on Thursday afternoon - but his odds have ebbed away in the last 24 hours and I can just about let him go unbacked at around 10/1 now. He is unproven over further than 3m, and this will be a war of attrition in this ground. Right, back to Sandown and a certain four-runner race at 15:00. I wrote about the Tingle Creek in an ante-post column on Tuesday and if you took advantage of the three places available with the Betfair Sportsbook and backed either Un De Sceaux, Sceau Royal and Saint Calvados each-way then you will have a big smile on your face. I know we always trot the line out - well, I do anyway - but you really don't need a bet when you have the mouth-watering prospect of Altior taking on those three. Altior is different gear at his best, though I am sure the other jockeys will be looking to make this a messy and tactical affair, given he usually hits a flat spot in his races. A false and steadily-run race wouldn't be ideal for the favourite, but he has always found a way in recent years. I think Saint Calvados has plenty to prove in this company but at least he will have his preferred soft ground, as opposed to Sceau Royal, so the favourite probably has most to fear from Un De Sceaux, the stable-selected of the Willie Mullins trio at the five-day stage. He is a past winner of the race and the ratings tell you he should be clear second-favourite, and the softening ground is very much in his favour; he is rated 7lb inferior to Altior but at least 9lb clear of the other two. I can't have a bet in the race, though the Irish raider is probably the one to concentrate on if you want to oppose the jolly, or are betting without the favourite. We may as well stay at Sandown for the rest of the ITV races at the Esher course, starting with the Henry VIII novice chase at 13:50 where no-one will be surprised to see that Lalor is the short-priced favourite after a stunning chasing debut at Cheltenham. But it may not be wise to be getting too carried away with him just yet, as this is a very tightly-knit race on official figures - indeed, Diakali is 2lb ahead of him on official figures - and this may be harder for him than the prices would suggest. He did look superb at Cheltenham though, so happy to sit this one out. The 1m7f216yd handicap hurdle at 14:25 is more my cup of tea and I have to be with Man Of Plenty again at [15.0] or bigger. He makes a quick reappearance after a fourth over 2m4f at Newbury last week, where he could never get competitive after being held up. He steps back down to 2m here, but that doesn't concern me unduly, especially on this stiff track in testing ground. And three of his rivals look set to go at a decent clip, which will help his cause. He ran better than it appears in the Greatwood Hurdle on his penultimate start, when he made a big blunder 2 out, and he ran well in defeat a couple of times here last season, including when fifth in this race. The cheekpieces are back on here after being left off at Newbury (he finished second in them at Cheltenham last year) and hopefully his 5lb claimer can get him positioned closer to the pace here. That may be easier said than done as he hasn't won for four years and looks tricky, but he is worth chancing at the price. It promises to be very gruelling indeed by the time the circa-3m5f London National at 15:35 takes place and another old "friend" in Chase The Spud rocks up. He was very impressive when winning first-time-out at Haydock last season (he has a good record when fresh), the ground is coming in his favour, and a talented 7lb claimer reduces his burden of 11st 12lb. And that may be needed as the handicapper has been very slow to drop him for three poor, pulled-up runs since that Haydock success. I was going to leave the race alone as the market leaders Red Infantry (visor replaces the cheekpieces he wore when winning last time) and Royal Vacation look solid enough, but I wasn't expecting him to be the price he is. So back "The Spud" at [15.0] or bigger. There could be an opportunity for him to force the pace too, should his rider so wish, as there is no guaranteed front-runner in the race. Back at Aintree, the Grand Sefton at 15:15 is a trappy little race and it is no surprise to see it is 5/1 the field, with Warriors Tale and Crievehill rightly heading up the betting. 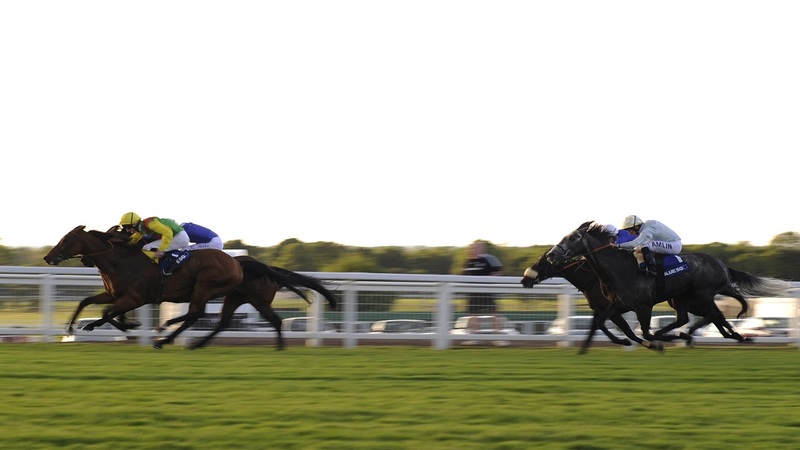 However, I am going to take a chance on Brandon Hill to small stakes at [13.0] or bigger. He finished well-beaten on his reappearance over 3m1f on good ground here in October but he only weakened out of it late on and these much softer conditions will suit him a lot better, and he is down to a mark - he was dropped 2lb for that reappearance run - off which he can be competitive. Indeed, he finished placed in three fair handicaps off a 3lb higher mark than this last season, and the combination of the step down to 2m5f and testing ground could see him go close here. This front-runner does have some competition for the lead though, and that isn't ideal. The four-runner Grade 2 Many Clouds Chase at 14:05 doesn't make much betting appeal, though I must admit I thought Definitely Red would have been a little bit shorter than 8/11. He actually has 4lb to find with King George runner-up Double Shuffle at these weights, but he comes here in great form, the ground is very much in his favour, and it isn't hard to see him dominating this race from start to finish, as he did in this contest last year. Double Shuffle's Kempton second came in soft ground, but he may not find conditions to his liking here after falling at the first on his return. Lady Camelot is interesting at a double-figure price in the fillies' juvenile hurdle at 14:40. She hasn't shown much in two hurdle starts but they came on good ground and all her best Flat form came on soft. She wasn't far off the level shown by the favourite Giving Glances in that sphere, and we can expect an improved run from her here. I won't suggest a bet - though her odds of around 10/1 are very fair - but it is perhaps surprising that Gordon Elliott is running Smiling Eliza as, after she won on good at Punchestown in October, he said: "She won't run on heavy winter ground."